Source: All photos are my own / Aaron Daniel Smith Photography. Please credit my site when used. Cloud printed light weight shorts are another easy peasy item. The high-waist elastised shape makes them comfy and versatile. Great transeasonal piece. 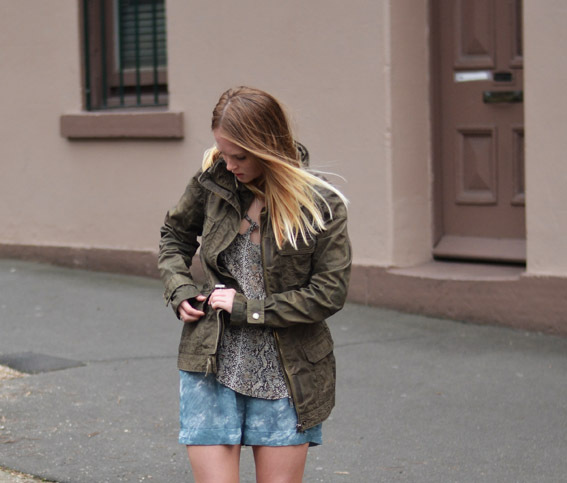 Featured here with a contrast print top & Henleys military jacket.